Lions Foundation of Canada is grateful for the support of individuals and organizations who arrange their own events in support of Dog Guides. From golf tournaments, garage/bake sales, races, rides to dress down days ... the only limit is your imagination! We are happy to work with you, and ensure a Dog Guide or a future Dog Guide puppy is in attendance – which is always an added benefit! You can also support Dog Guides by attending, volunteering or sponsoring any of our events. For more information about hosting an event for Dog Guides please email Events or call (905) 842-2891, Ext. 226 or 1(800) 768-3030, Ext. 226. The Pet Valu Walk for Dog Guidesis a national fundraising walk held in approximately 300 communities across Canada. It raises funds to help train Dog Guides for Canadians with disabilities. Each Walk is organized by local volunteers with support from Lions Foundation of Canada. To date, the Walk has raised more than $17 million! Lions Foundation of Canada's Ride for Dog Guides is a fundraising event specially catered to motorcyclists. Ride for Dog Guides was first started in 2009 by the Saltwater Retreads and the Enfield/Elmsdale Lions Club in Nova Scotia. The event has since grown with new locations being added each year. All proceeds support the seven Dog Guide programs at Lions Foundation of Canada. Though each Ride for Dog Guides varies in activities, most follow a scenic pre-arranged route and offer refreshments, incentives, prizes and a poker run component. BMO Oakville Ride for Dog Guides this year is June 22, 2019. Dog Guides Canada is looking for motivated self-starters (and bingo enthusiasts!) who are able to volunteer at Delta Bingo in Oakville as verifiers. 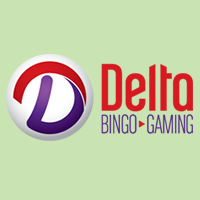 Delta Bingo is a smoke-free environment and provides fun charitable gaming events. 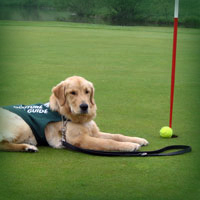 Thanks to volunteers that assist at Delta Bingo we are able to secure $25,000 annually to support one dog guide team. If you believe you can commit for a 2 to 3 hours twice a year, we want to hear from you! Calling all Bowling Leagues and those who love to bowl. Lions Foundation of Canada launched Dog Bowl nationally in the fall of 2013 after adopting the project from the Merritton and Garden City Lions Clubs of St. Catharines, Ontario. Through the support and dedication of these clubs, the event has grown and is now taking place in communities across Canada with all proceeds supporting the Canine Vision Dog Guide program at Lions Foundation of Canada. The Lions Foundation of Canada Dog Bowl provides awareness of people who are visually impaired through bowling fundraisers held across Canada. Through a blindfold or specialized glasses that mimic various eye diseases and disorders, each bowler experiences “seeing” and bowling through the eyes of someone who is visually impaired.